In oil and gas, enterprise resource planning (ERP) systems must be implemented not in months, but in weeks. In the oil and gas industry, when manufacturers require an Enterprise Resource Planning (ERP) system, they often need it implemented within a month or two – not a year or two – to minimize disruption and maximize their competitive advantage. While many large ERP systems can take years and millions of dollars to implement, including consulting and customization costs, that does not need to be the case. Some of the savviest players in the North American oil and gas market, in fact, are implementing robust, full ERP systems customized to their enterprise in as little as a month for just tens of thousands of dollars per location. AXON Energy Products is a new company that is rapidly growing, with a total growth of over 600 percent in the first two years, acquiring 14 companies in that time and 23 companies to date. 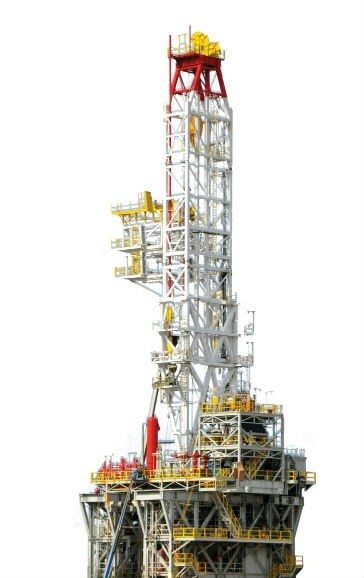 Based in North America’s two oil and gas hubs – Edmonton, Alberta and Houston, Texas – the oil and gas industry leader has expertise in drilling, downhole products, pressure systems, well intervention, as well as rig concept and design. AXON depends on a powerful yet flexible ERP system to help optimize the business processes of its acquisitions, while helping the newly acquired company integrate into AXON’s way of doing business. Bowers has experience in how expensive and slow implementation can be with some of the larger ERP systems including set up, configuration, training and customization across many locations. “My previous company’s implementation of a large ERP system took over five years, with costs exceeding $60 million after 10 years,” says Bowers. There was no way AXON could go through a five-year implementation cycle at that level of cost and with all the disruptions to business. Instead Bowers and a core group of AXON senior managers reviewed their requirements for an ERP system including power, flexibility, implementation speed, and total cost. They chose a fully integrated ERP system for complex and mixed-mode product manufacturers called Visibility. net from the developer Visibility Corporation. As an enterprise class application designed from the ground up on Microsoft .NET architecture, it supports Oracle and Microsoft SQL Server databases, and is one of a new breed of ERP products that have been designed as an Internet application. According to Bowers, AXON’s standard process for implementing the ERP system at a new location takes just four weeks from start to finish. This minimizes business disruption and allows managers to act on ERP data much faster than they could with larger, slower to implement systems. Even though the ERP software is powerful enough to give AXON the data analysis and reporting it needs to optimize its business processes across its 35 locations in Canada, Europe, the U.S. and the Middle East, it is streamlined enough to avoid over-complexity. This expedites employee training and change management. Bowers also appreciates the flexibility of his ERP system. In fact, Visibility continues to support AXON even though it has access to its own back end processes of the system.